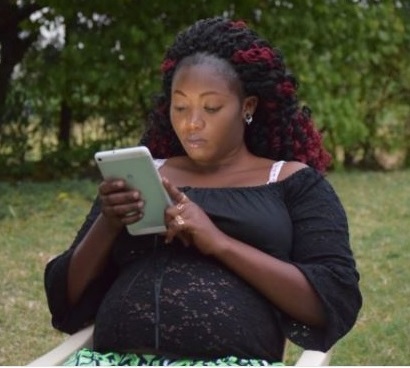 Home / Entertainment News, Featured Articles / How LADIES like the murdered SHARON OTIENO are falling to pressure after seeing lavish lives of socialites like VERA SIDIKA. How LADIES like the murdered SHARON OTIENO are falling to pressure after seeing lavish lives of socialites like VERA SIDIKA. If you take a random sample of ten women under the age of 25, and asked them what they sought in life, I'm certain that all of them would tell you that all they want is the "good" life. Seven would tell you that all they want is to be rich and famous. And five would tell you that they are prepared to do anything to be rich and famous. Now, find out from the same sample what they think constitutes a good life. Most of them will tell you that a good life is designer fashion, trips abroad, eating in lavish restaurants, throwing exclusive parties, and driving luxury cars. This -right here- is the value system that informs the decisions our daughters make today. The truth is, we have derogated from the fundamental values that once informed our existence. Like patience, hardword, persistence, and family. Our daughters grow up in a society where they are constantly bombarded by a culture of consumerism made worse by the glorification of a "do-whatever-it-takes-to-make-it" mindset. They find themselves in a society where the Vera Sidika's and Zari Hassan's of this world are idolized. The consequences are disturbing. When I wake up, the first thing I look up is the Wall Street Journal and the New York Times. When my sister wakes up, the first thing she looks up is Zari's Instagram Page. She finds inspiration in the shoes Zari is wearing, the designer clothes, the cars, the lavishness of it all.